Pullman Quay Grand Sydney Harbour Reservations. Call 020 7962 9933. 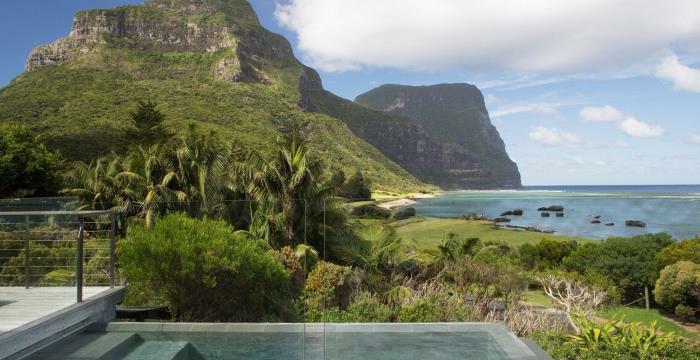 Enjoy 4 nights in Sydney's stunning harbourfront Pullman Quay Grand in a 1 bedroom suite with spectacular views of the opera house & then stay for nine nights on beautiful Lord Howe Island at the stunning five star Capella Lodge, the island's premium boutique accommodation. Commanding stunning ocean and mountain views, the lodge offers a civilised and stylish escape. Capella's contemporary cuisine, first name service, relaxed sophistication and intimate surrounds all combine to make your stay extra special. Set on the eastern shore of Sydney's Circular Quay, the superbly located Quay Grand Suites is in the midst of the city's key attractions, including Sydney Harbour, Harbour Bridge, the Royal Botanic Gardens and the Opera House. Adjacent to the financial district and shopping precincts, the hotel offers luxury apartment-style accommodation with 5-star service and spectacular views. Quay Grand Suites Sydney offers Harbour View Suites and Garden View Suites. All are luxurious and fully-equipped with separate lounge, dining room, kitchen and bedroom, and have balconies. Garden View Suites are ideal for overnight business travel and leisure guests, while Harbour View Suites also feature a spa bath and are perfect for honeymooners. Whether staying for business or leisure, guests at the Quay Grand Suites can take advantage of first-class recreational facilities. These include a private recreation deck complete with heated indoor swimming pool, whirlpool, sauna and gym, as well as a dedicated sun-lover's deck overlooking the harbour on the mezzanine level. With impressive floor-to-ceiling glass windows overlooking the city's harbour, you're guaranteed the best food and views in town at the acclaimed Quadrant Restaurant at Quay Grand Suites. Guests should also visit the ECQ Bar, one of Sydney's most popular, with its sensational harbour views. Riley was very friendly, helpful and professional throughout. My holiday was amazing! Isaac went the extra mile in booking seats and checking in, taking the stress away. I’m an OAP and it's the first time I’ve booked a flight and traveled alone. Booking was made so easy, and the price was cheaper than one that I’d inquired about before a friend give me your number. Thank you DialAFlight I will use you again. Once again all arranged perfectly by Matt. Had a great trip. Thank you SO much Lucy. I always use DialAFlight when traveling longhaul - wouldn't even consider using anyone else. You really helped us through a difficult situation when our flight details were changed by Philippine Airlines. I don't know what we would have done without Jason's help and I would definitely recommend him to anyone and everyone. I found James very knowledgeable and approachable all the time. I would like to say a special thanks to Reid for putting my trip together as he was excellent . I would highly recommend him and your company to my family and friends . Another very successful flight. Thanks and will be in touch for flights to Oz next year. As usual I received great service from Frank, got a great deal on our flights to Australia with Etihad and everything went well. We had a fabulous time in Australia. Great holiday. Everything booked was great! Any queries we had were quickly answered and they kept in touch. Excellent service. Excellent service. It was lovely to receive a call prior to our trip wishing us a lovely holiday. Little touches like that really make a difference. I have every confidence in you. This was my second time using your service and next week I’m off to USA again. I do like being able to dial straight through to an agent - no lists of options, no delay. Libby was excellent - helpful and friendly.